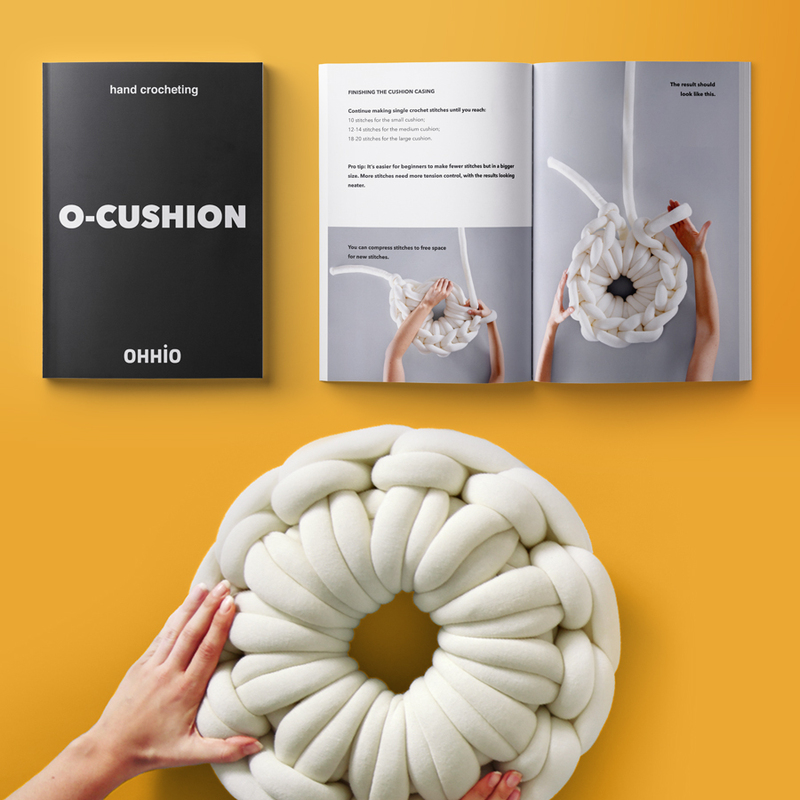 Make an O-Cushion with our beginner-friendly illustrated instructions. These instructions were created with total novices in mind. You can use them to successfully make an O-Cushion even if you’ve never knitted or crocheted in your life. 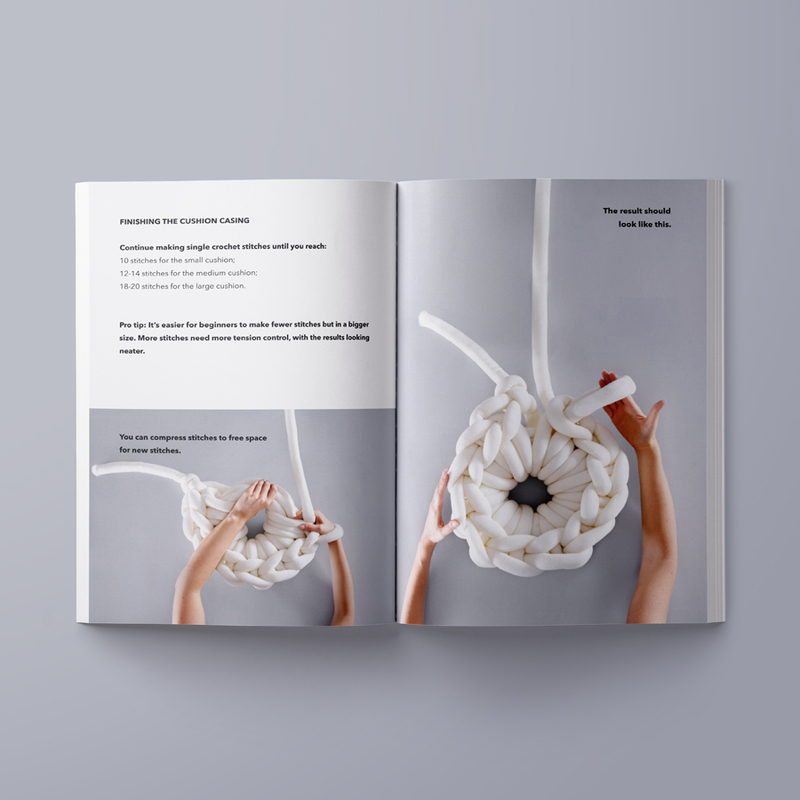 These illustrated instructions will take you through each step of hand crocheting a cushion in one of three sizes. Large O-Cushion – 19” / 48 cm in diameter. 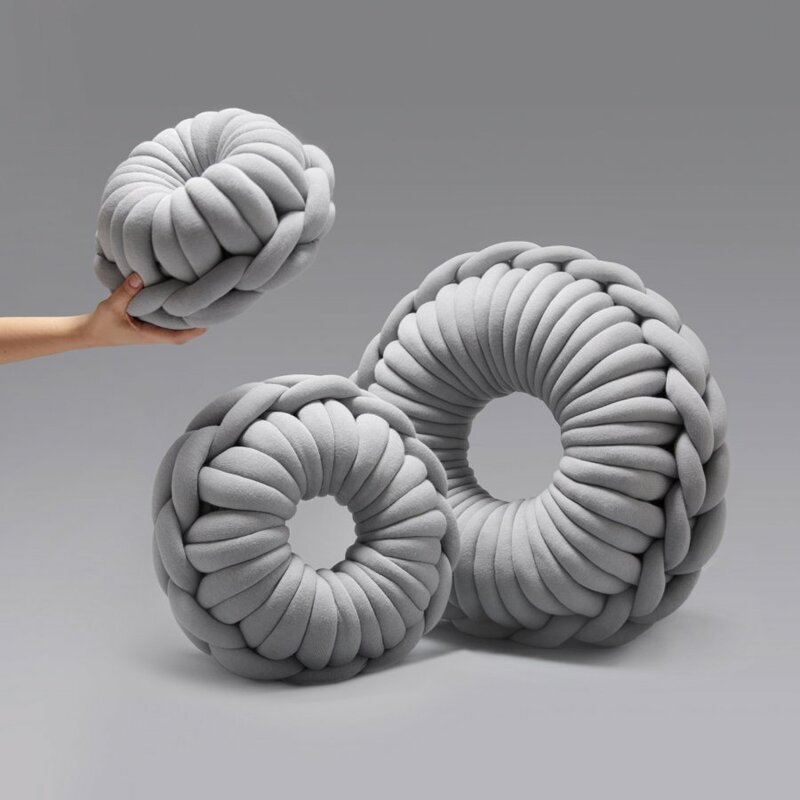 To make this cushion, you’ll need 15 meters for a small-sized cushion, 20 meters for a medium-sized cushion and 30 meters for a large-sized cushion of Ohhio Braid.